Unsure exactly what type of show or style would would work for you? Some people will prefer a more understated style of close up magic others are looking for something a little more show stopping. 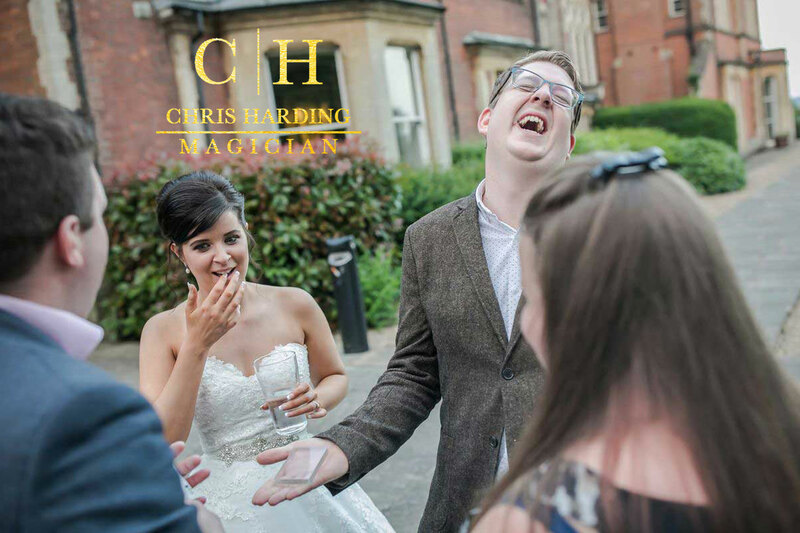 Chris is well known for his mind boggling close up act and is equally adept at stage and cabaret magic. Contact Chris to discuss your requirements or request a brochure and further details of packages available. Chris is approachable and friendly, so will take the time to listen to your requirements and offer a range of suitable options for you. Looking for a show stopping Magician In Kent? From huge rooms of 2000 down to intimate dinner parties for 20, award-winning Chris Harding always amazes and leaves a long-lasting impression that makes his magic unforgettable. A member of The Magic Circle & Equity with over fifteen years performing experience and an already-impressive CV that includes Katy Perry, HRH Prince Charles, Kate Bush, Pink Floyd, Ferrari, Sony; you and your guests are guaranteed a magical event! Chris has performed at countless weddings, parties, and corporate events throughout Kent, London and the home counties. A regular and recommended performer at many of the counties leading wedding venues including; The Old Kent Barn, Chilston Park Hotel Lenham, Winters Barns Canterbury, Lympne Castle near Hythe, Cooling Castle Barn Rochester, Leeds Castle Maidstone, The Barn Tunbridge Wells, The Gardens at Yalding and many more.